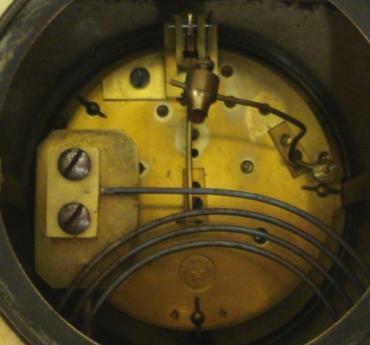 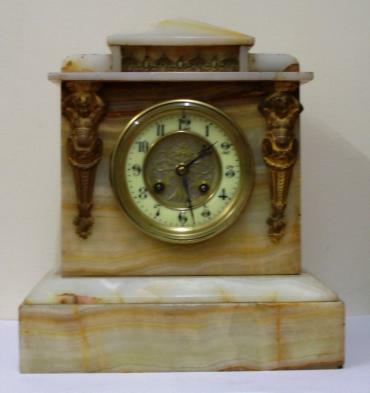 Stock Number: CLMA046 - French 8 Day Gong Strike Mantel Clock - £525. 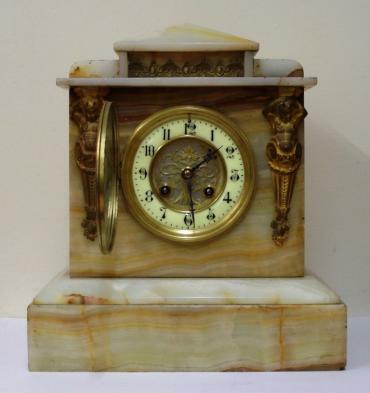 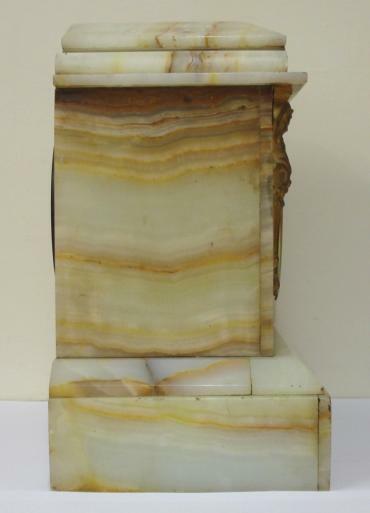 French 8 day white marble cased mantel clock circa 1890. 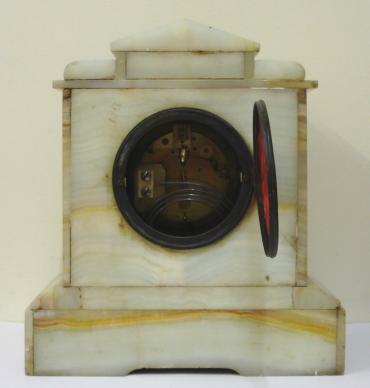 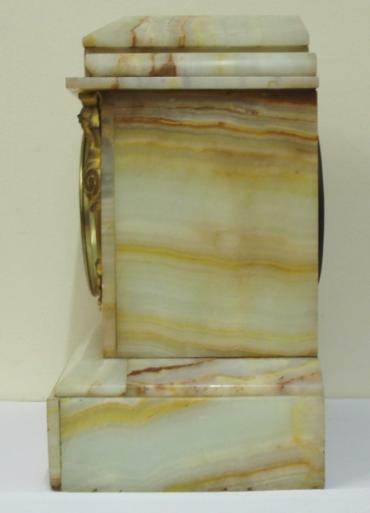 Architectural square case with decorative applied ormolu mouldings and gilt circular bezel with flat chamfered glass over an ivory enamel chapter ring with silvered and gilt fretwork centre. 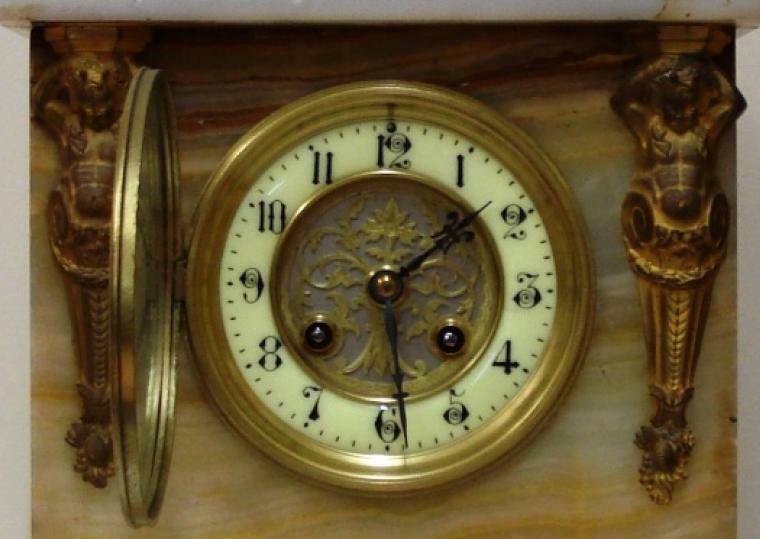 Black gothic hours and ornate blued steel hands and slow / fast adjuster at 12 o/c. 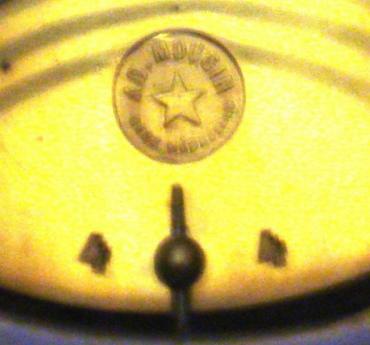 Good quality pendulum regulated, spring driven, gong striking French brass drum movement with an 'AD Mougin' 'Deux Medailles' touch mark and numbered #44. 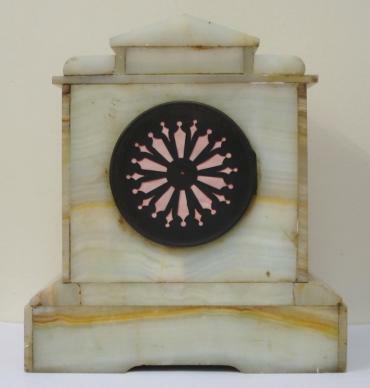 Dimensions: Height - 11.5", width - 10.25", depth - 6.25".